Consulting firm McAleese & Associates has released a report on key takeaways from a Center for Strategic and International Studies-hosted discussion held Friday with the secretaries of military branches about the state of their services and priorities. 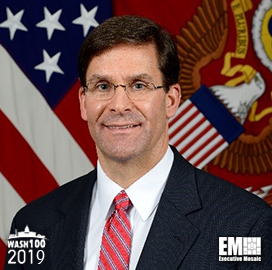 Army Secretary Mark Esper said the service works to build up readiness recovery through 2022 before shifting full-tilt into modernization by 2023, Jim McAleese, founder and principal at McAleese & Associates and a 2019 Wash100 winner, wrote in the report. 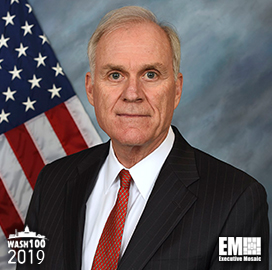 Esper noted that the service aims to shift $25B in cuts to 31 programs of Army Futures Command’s eight cross-functional teams. “Army is working on ‘multi-domain-operations’…so I can support the Air Force’s long-range suppressive fires, so I can go after enemy air defense systems,” Esper said at the CSIS event. Navy Secretary Richard Spencer talked about the readiness hole within the service and the U.S. Marine Corps, the need for funding stability and the Navy’s acquisition authorities under the National Defense Authorization Act for fiscal years 2017 through 2019. “We have everything that we think we need right now…Now inside the building, we need to mete out how we are going to use those authorities…and who is involved in those authorities,” Spencer said. 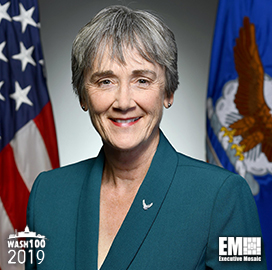 Air Force Secretary Heather Wilson discussed the decline in the number of the service’s operational squadrons, the 2020 legislative proposal for the new space force and a memorandum of understanding signed with the Navy and Army on hypersonic weapons. 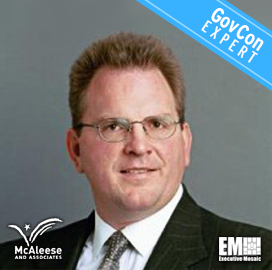 “We signed an MoU about a year ago on hypersonic weapons. The Army and Navy had come up with a shell that they were able to get to hypersonic speed and maneuver it,” Wilson said at the event. “So we have an Army and Navy-funded shell-of-a-weapon, with an Air Force rocket motor…By working together, we stripped five years out of the likely fielding time,” she added. Esper, Spencer and Wilson are all 2019 Wash100 recipients.